US television series Preacher will produce its fourth series in Victoria, contributing $50m to the economy. 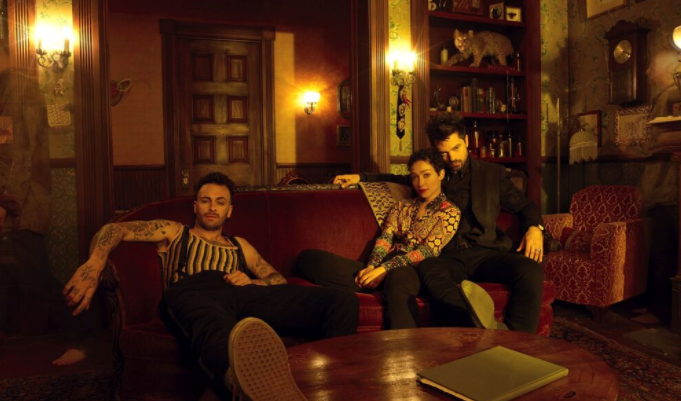 US television series Preacher is coming to Victoria for its fourth series in a deal that will inject $50 million into the Victorian economy and generate 740 jobs for local cast and crew. Secured by the Victorian government via Film Victoria, Preacher is set to be the biggest budget television production to come to Victoria since Steven Spielberg’s The Pacific (2007). The production schedule for the 10-part series will span seven months in Melbourne and regional Victoria, with pre-production set to commence at Docklands Studios Melbourne before the end of the year. Based on DC Comics’ supernatural comic book series, Preacher follows a conflicted preacher who, during a crisis of faith, gains extraordinary power. Developed by writer and producer Sam Catlin (Breaking Bad), with Executive Producers Evan Goldberg and Seth Rogen, the series has gained a global cult following since it premiered in 2016. In addition to generating significant employment and skills development opportunities for Victoria’s screen industry, the series will feature a Melbourne-based plotline, showcasing iconic locations in the city and regional Victoria to the world, with a potential reach of more than 100 million viewers in the US alone. More than 800 local screen businesses will be engaged on the project as well as associated services such as catering, transport, construction and security. Preacher stars UK actor Dominic Cooper and is produced by Sony Pictures Television and Playmaker Studios. Commissioned by the AMC network in the USA, the series streams locally on Stan. The production adds to Victoria’s reputation as a location of choice for high-end television, with BBC co-production The Cry and HBO’s The Leftovers among the state’s recent international productions. The project has been supported by the Victorian Government through Film Victoria’s Incentives Program and the Australian Government’s Location Incentive program, in collaboration with Ausfilm. Minister for Creative Industries Martin Foley said:“Preacher will create hundreds of jobs and development opportunities for our local screen industry talent while putting Victoria on screen for the world to see. Film Victoria CEO Caroline Pitcher said: “Securing the production of Preacher for Victoria is a major coup; it is the biggest budget television production to film in our state in more than a decade. One wonders how they came up with “inject $50 million into the Victorian economy”, when this is a 10-part series. That equates to $5m per episode which based on Season 3 will be a shade over 40 minutes long so around $7m per hour. I better the local production industry would kill to get one-tenth of that rate. Of course maybe the politicians have gilded the lily – again. “Injecting” $50m implies new money into the economy rather than money that would have already been spent (travel, food, salaries etc.) in the normal run of things. Maybe come clean and tell us what the budget approved by Film Victoria was. Either way – amazing! Love the show, so great to see quality productions being made in AUS.